Since ancient times olive leaves have been a symbol of beneficence. To the Greeks they were a mark of peace and victory; olive leaves crowned the winners of the Olympic games. 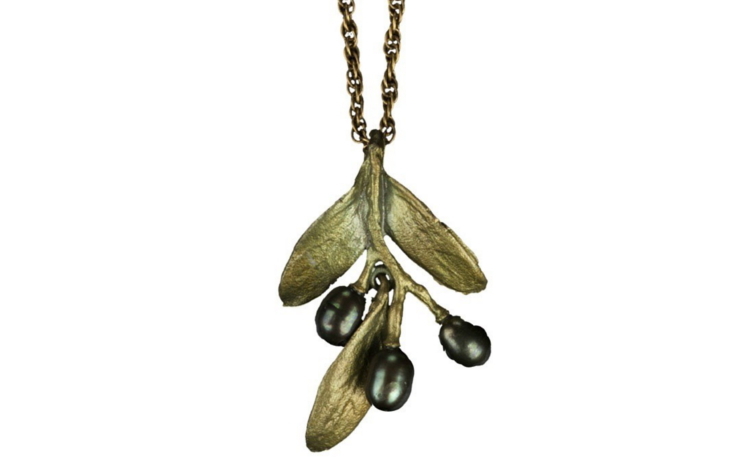 Hand patinaed bronze with olive green freshwater pearls. Handmade in the U.S.A.